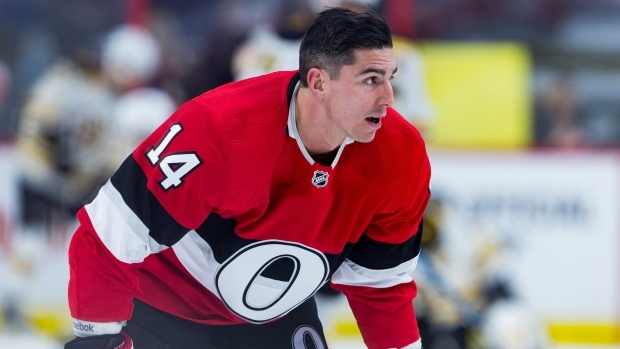 Ottawa Senators forward Alex Burrows is expected to return to the lineup on Friday night after serving his 10-game suspension for kneeing New Jersey's Taylor Hall last month. "It's been a while for sure," Burrows told Bruce Garrioch of The Ottawa Sun. “It’s tough to be away from the team and be away from the guys on a daily basis. I’m glad I’m back now. Plenty has changed with the Senators since Burrows last played on Feb. 6. Gone are Derrick Brassard, Dion Phaneuf, Nick Shore, Nate Thompson, Chris DiDomenico and Johnny Oduya, while Burrows went unclaimed on waivers last weekend. Burrows said Thursday he understood Senators general manager Pierre Dorion's decision to place him on waivers with Oduya. "We’ve had great talks since I’ve been here for a year and I understand the business side of things and I understand the situation that we’re in as a team and as an organization,” he said. “I totally understand. Burrows, who has three goals and eight points in 51 games this season, has another year and $2.5 million remaining on his contract. At 36, Burrows' future remains uncertain, though he's keeping his focus on the present. “That’s the way it goes sometimes. You can’t do anything about it right now but there’s 20 games left, I’ve got to have a good attitude and give it my all and we’ll see where that takes me in the summer,” he said. The Senators, who lost five straight games, visit the Vegas Golden Knights tonight in a game that can be seen live in the Ottawa viewing region on TSN5 (10pm et).